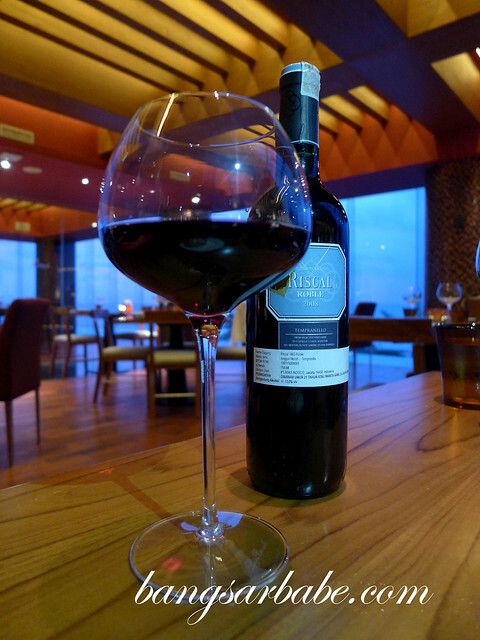 At Sheraton Bali Kuta Resort, I had the privilege of dining at Bene, the resort’s Italian restaurant that boasts a panoramic view of Kuta Beach and the Indian Ocean. Bene serves authentic Italian cuisine using both imported and fresh local ingredients, paired with a good selection of world-class wines. 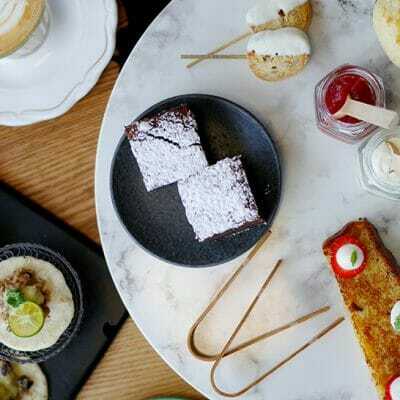 The restaurant offers three levels of dining – the open kitchen indoor dining and al-fresco area by the outdoor pool, indoor dining and private room surrounded by a floor-to-ceiling wine cellar on the second level and the rooftop terrace with a breathtaking view of the sunset. 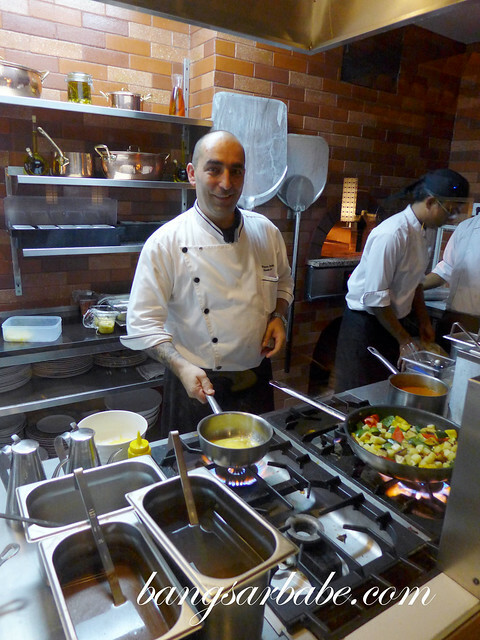 Chef Rossano Renzelli (Executive Chef of Sheraton Bali Kuta Resort) hails from Rome, and his dishes are pleasing to the eyes as well as the palate. 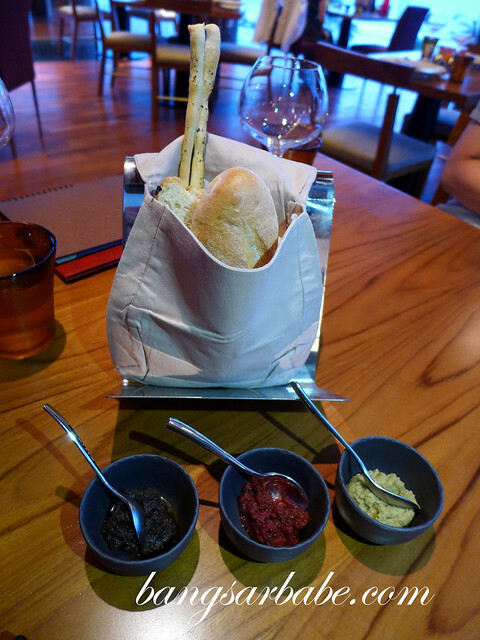 I nibbled on some freshly baked bread, dipped with green olive tapenade, black olive tapenade and sundried tomatoes before the starters arrived one by one. 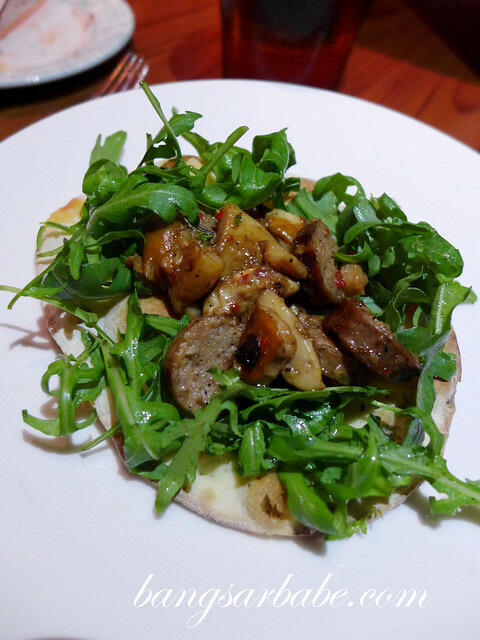 The tortilo with arugula, porcini mushroom and pork sausage was beautifully balanced and beautiful to look at. 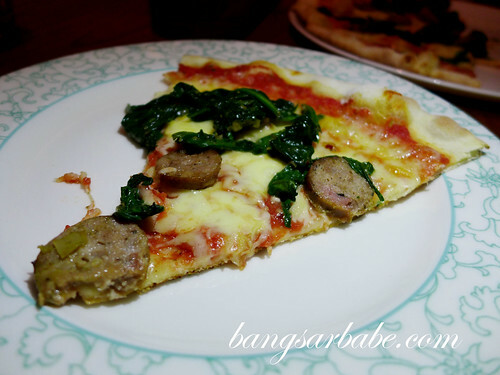 I enjoyed the combination of mushroom and rustic pork sausage with crunchy arugula – robust in flavour with good textures from the meat and greens. The parma ham and melon with arugula and rum sauce was decent, but I would have preferred more ham than melon. 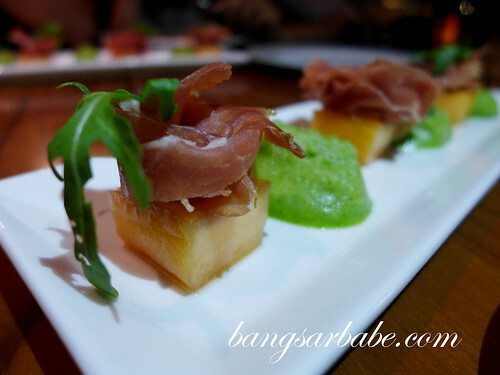 The arugula with rum sauce gave the ham and melon a bittersweet flavour; this can be an acquired taste for some. 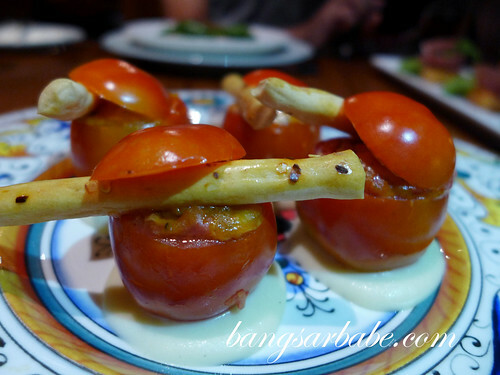 My favourite appetizer of the three was the tomato stuffed with risotto and cheese sauce. 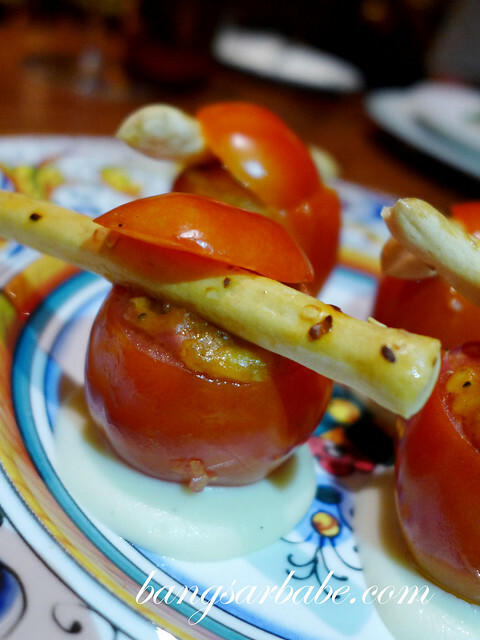 According to Chef Rossano, the contents of the tomato are mixed with risotto and cheese sauce before baking. The outcome was rich and creamy with a good flavour from the stock and tomato. 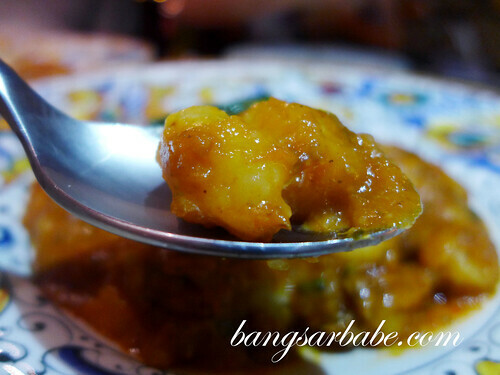 Gnocchi with oxtail sauce is an Italian classic, and a winner in my books. 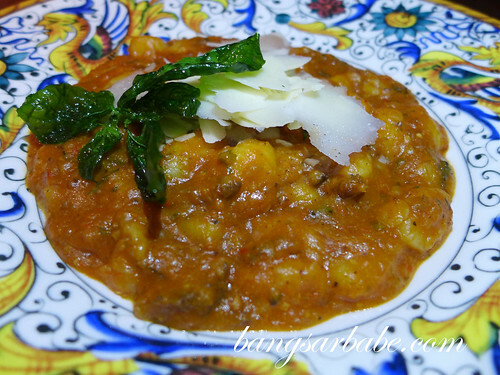 The gnocchi was amazingly light, while the oxtail stew – braised for 4 hours with red wine and carrots – was hearty and comforting. 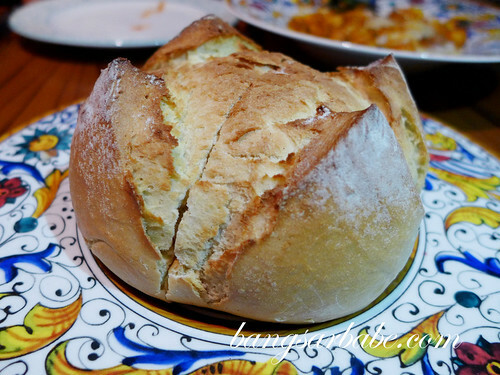 Scarpetta, an Italian bread used to dip into sauces,was placed on the table for us to mop up the balance of the oxtail sauce. I was less impressed with the roasted pork fillet as the meat was too lean for my liking. Some people like their pork lean, but I love mine with a bit of fat for flavour. 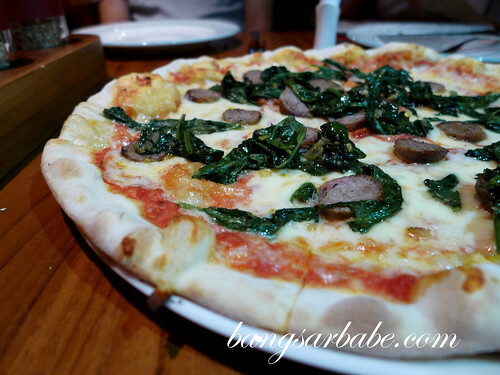 The tomato, mozzarella, pork sausage and spinach pizza was prepared the traditional way – fresh, quality ingredients, good pizza dough and a wood-fire oven. I ditched the cutlery and ate the pizza with my hands; food tastes better when you use your hands, I believe. 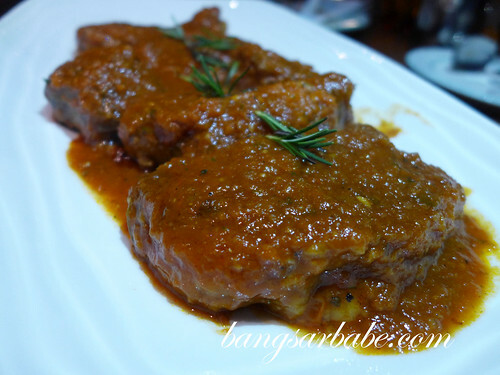 I asked Chef Rossano to recommend his must-try dish at Bene, and he said it was the oxtail in tomato sauce. 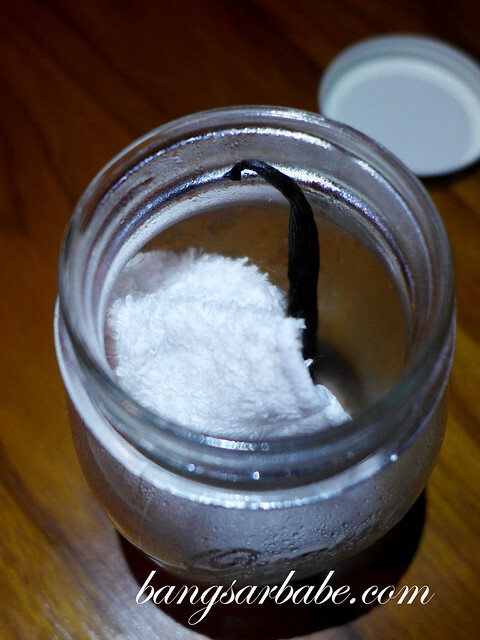 I ordered it and it was wickedly delicious! Meltingly tender and falling off the bone! 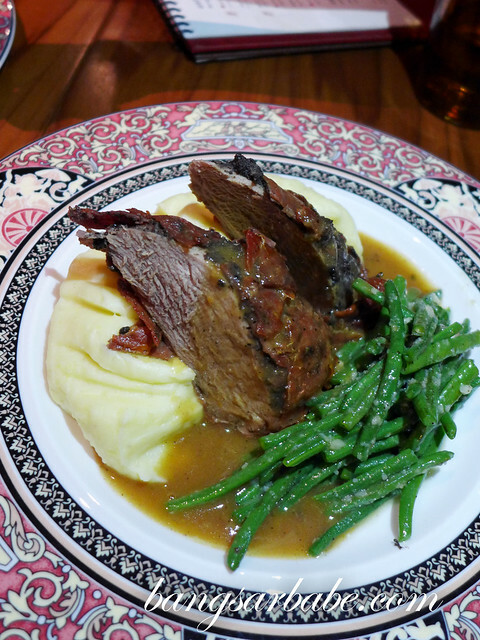 The oxtail had a good ratio of meat and fat, and was cooked till meltingly tender and falling off the bone. 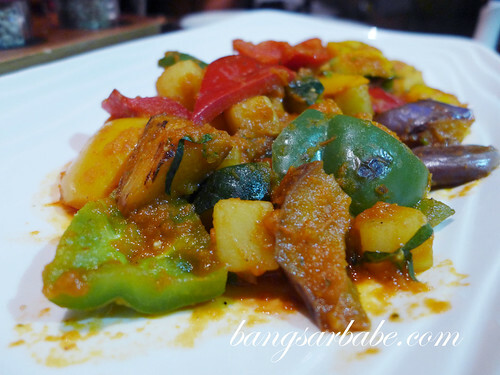 The tomato-based gravy was robust in flavour and aromatic from the herbs and spices used. Definitely rave worthy! Italians love to feed you, an attribute I could get used to. 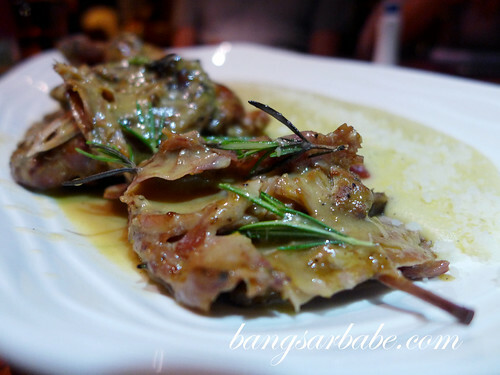 We spoke about things I enjoyed eating and I casually mentioned I’ve yet to try a good Italian rabbit dish in KL. Chef Rossano very kindly made me one, and it was tastier than the rabbit dishes I’ve eaten in KL thus far. 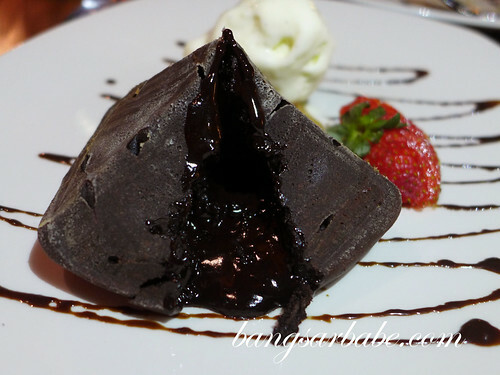 Dessert was the gooey chocolate lava cake and coffee flavoured sponge cake roll with pastry cream, both I had trouble finishing because of the insane amount of food I had consumed earlier. That said, I managed to finish the chocolate cake and a bite of sponge cake, before waving the white flag. 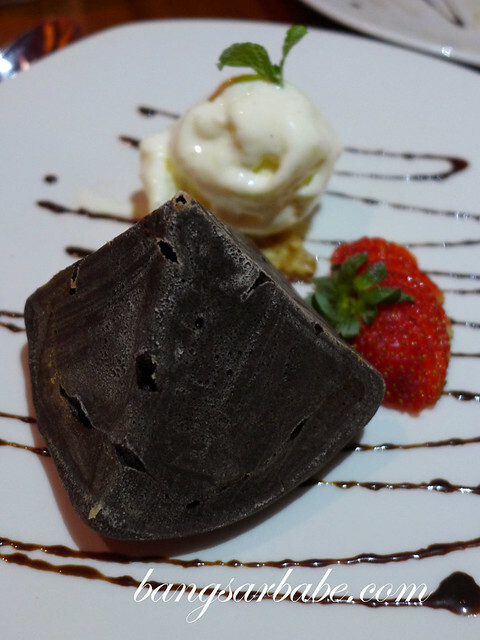 The chocolate cake was made using Valrhona chocolate (70%), and it was a bittersweet symphony that was made better with vanilla ice cream. For more information, visit Sheraton Bali Kuta Resort’s official website here. 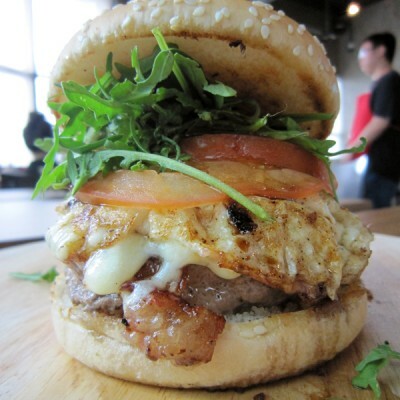 To take a look at Bene’s menu, click here. 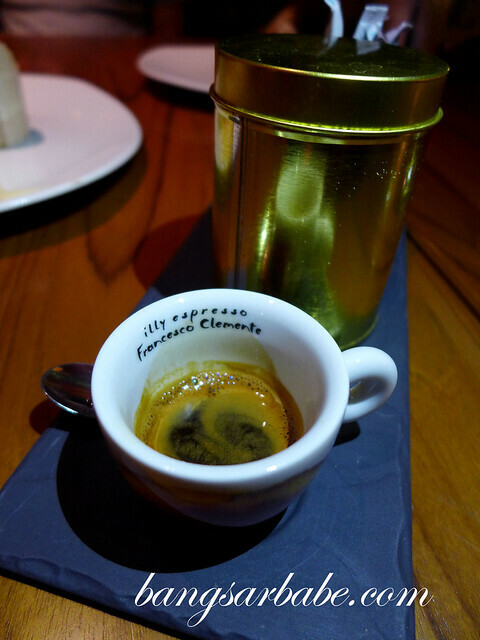 Verdict: The food is unpretentious and hearty, the way Italian cooking should be. The scented towels are so special….